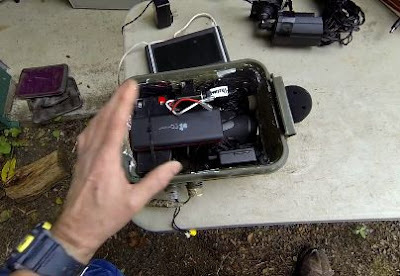 When it comes to looking for Bigfoot — the skies the limit on what type of equipment and techniques people will use. That's part of what makes Squatchin' so fun. There are just so many ways to go about things. In this video, the Washington Sasquatch Research Team (WASRT) shows us some of their innovative ways that they use to attempt to lure in a Sasquatch.